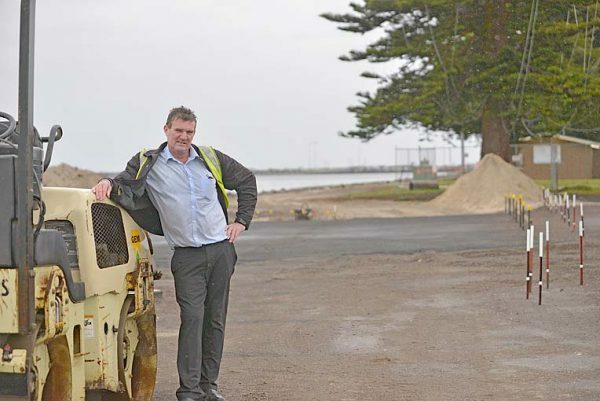 FORESHORE REVAMP: Grant District Council works manager Adrian Schutz inspects The Waterfront project at Port MacDonnell. The wet weather has held up some of the works. GRANT District Council will seek blackspot funding for one the district’s most notorious intersections. Council will lodge an application for State Government funding to improve the safety of the junction of Ruwoldt and Yahl roads at Yahl, which is seven kilometres from the outskirts of Mount Gambier.